Studying the plants around the habitat of white-headed langurs. It is said that white headed langurs use about 70 species of plants. I studied how many species are there in the area in which langurs live, and how much different are trees and herbs depending on the places. Langurs live in karst hills which roughly consist of rocky area and plain area. I choose two places suitable for my study and collected plants as much as possible. 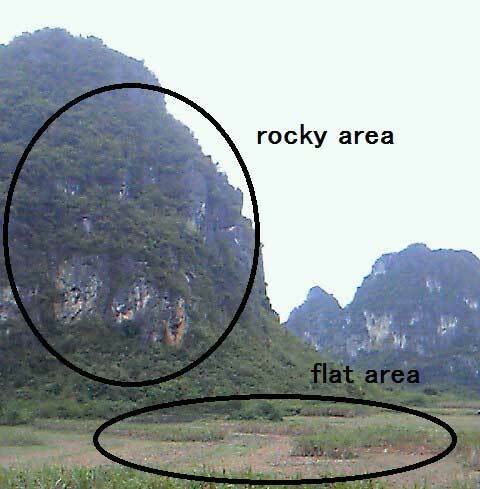 I found that the plants collected in rocky area were very different from the plants in flat area, and there are much more species of trees in rocky area than in flat area. I collected more than 40 species of plants and I estimated that there were more species of plant in the rocky area.